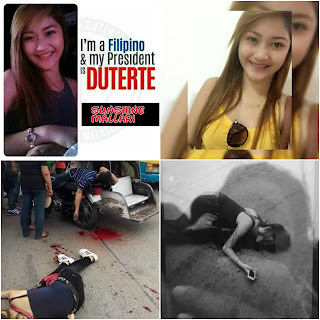 Viral : Pretty Supporter of Duterte get Killed by Riding in Tandem, Netizens Uproar #JusticeforSunshine - Exam News, Reviewer, Military Career, & Everything [MN] . .
A young and pretty supporter of President-elect Rodrigo Duterte was killed on Thursday, June 9 by still unknown perpetrators. The online community uproars after photos of the victim were shared online and urging Duterte for immediate justice on the brutal killing. The victim is identified as Sunshine Mallari Capipin an 18-year old resident of Arayat town in Pampanga. 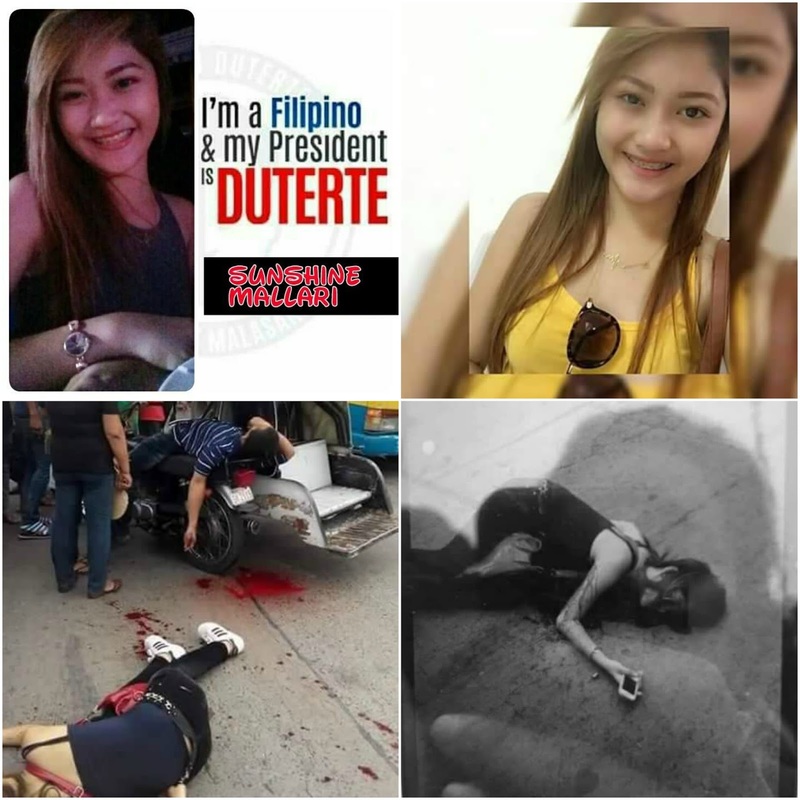 According to a report published by Sprint News, three unidentified motorcycle-riding gunmen suspected to be communist terrorists brutally killed her and her uncle, Enrique Mendiola a.k.a., 39 years old and Barangay Tanod Chief of Barangay Mangga Cacutud, Arayat, Pampanga last Thursday, June 9 while going home to Campo Venzon in Barangay Mangga Cacutud. Sunshine hitched ride on the tricycle driven by her uncle who was coming from a hearing at the Arayat Municipal Trial Court. While the tricycle was travelling along OG Road at the vicinity of Barangay Plazang Luma in Arayat, the motorcycle boarded by the three gunmen came close and without warning fired at them, hitting Sunshine in the face and armpit. Both victims died on the spot. The perpetrators quickly but calmly fled the scene as if nothing happened. Speculations suggest that the real target of the gunmen is the driver of motorcycle who is her uncle.However, the motive of the killing is still unknown and no official statement yet from the local authorities. Before the 2916 election, Sunshine Mallari who is a first time voter declared herself in her Facebook personal account:"I'm a Filipino & my President is DUTERTE." But many were saddened how her hopes were shuttered by a meaningless death. Sunshine who was a freelance model, her friends recalled her as jovial person and good student.